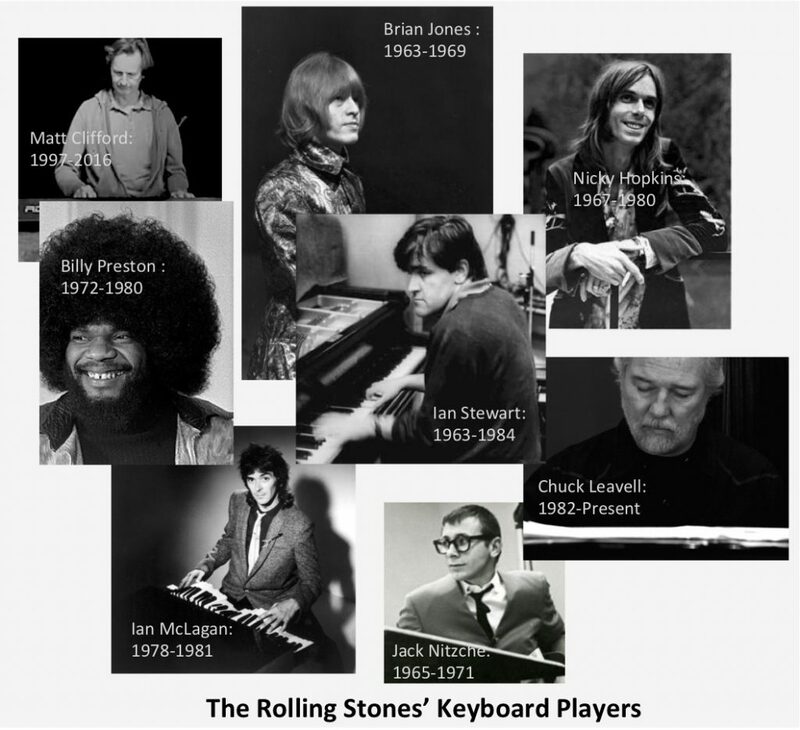 Beginning back in 1963, for the first six years of their touring career, the Rolling Stones didn’t have a dedicated touring keyboardist. Founding member and keyboardist, Ian Stewart, was relegated to road manager because he didn’t ‘look the part’. For these early tours, Rolling Stones’ founder and guitarist, Brian Jones, sat in on the piano when the song called for it. After Jones’s accidental drowning in 1969, Ian Stewart was brought back onto the stage to play the rockers- such as “Honky Tonk Women” and “It’s Only Rock ‘n Roll”. But Stewart refused to play ballads or any songs in minor keys. He was a blues rock and boogie woogie purist. From 1971 through 1973, English pianist extraordinaire, Nicky Hopkins, toured with the Stones to fill in on the songs that Stewart turned down. But Hopkins suffered from ill health and wasn’t able to keep up with the Stones’ exploits nor their demanding touring schedule. He was replaced by American R&B legend Billy Preston. Preston went on tour with the Stones from 1973 to 1977 but was replaced by Faces’ keyboardist Ian McLagan due to contract issues. Ian Stewart continued to tour with the Stones throughout this period and in 1982 Stewart personally picked Allman brother keyboardist, Chuck Leavell, to play alongside him to become his successor. Chuck was more versatile than Stewart. He could play the blues, the ballads, and the rockers. Chuck has played on every tour since then. The Stones have also added pianist Matt Clifford to the lineup and saxophonist , Tim Ries, occasionally sits in on keys as well.